Excellent Product, Great price! Been buying these cartridges from Monoprice for a couple of years now, very satisfied! I had great luck with the first batch I purchased of these but not so much since. I have been using these for a couple years now (all colors). Some work great for a decent amount of time and others just fail for no reason. Just replaced the print head on my printer thinking that had gone out but instead it was just these cartridges. The black is still mostly full and you can hear the ink in it when you shake it but doesn't come out. The yellow says near full but not working at all. The good thing is the price, buy several to have on hand and probably still be money ahead. The ink cartridge is not recognized by my printer. it is something to do with the chip on the cartridge. Thank you for your review and sorry to hear of the issues you have experienced with the ink. Upon reviewing your order I can see that the RMA process has already been started. I would again like to apologize for the ink not working. If there is anything else we can do for you please let us know. Much cheaper than ripoff manufacturer ink. Feels heavy. This is not my first time buying ink from monoprice. 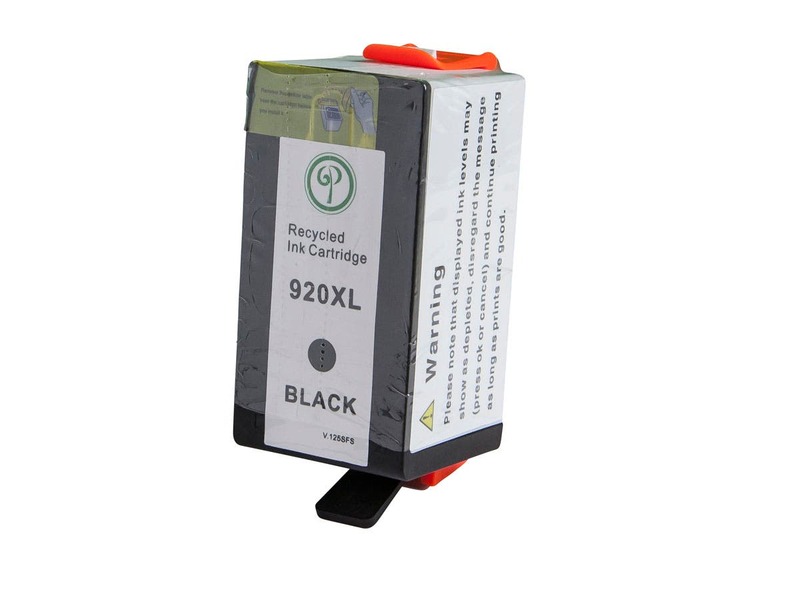 Unfortunately the printer wouldn't print black ink with this cartridge installed (HP makes it too difficult). Thankfully Monoprice has good customer service and setup an RMA for a return/refund. For the price, it was worth a try! Works as described with my HP Officejet 6500 E710N. Amazing value. Will be buying all the color cartridges as well. Highly recommended vs paying 40 per HP cartridge in the store. I have had nothing but trouble with the printer cartridge in my HP Officejet 6500. At first, it would warn me about not being a legitimate HP cartridge, but would still print. Now it says the cartridge is missing or damaged and refuses to print at all.